We talked to the artist about her new work, her artistic philosophy, and the many meanings the “Garden” carries for her. Malaysian artist, performer, and cosmic gardener Shooshie Sulaiman says, “Art is the fragment of the artist’s internal and external identity.” Indeed, the oscillations and synergies between seemingly antithetical dualities are at the root of Sulaiman’s work. Her paintings, installations, and community projects bridge boundaries between personal and collective, traditional and contemporary, nostalgic and visionary. The artist herself is not foreign to overlapping identites. She was born to a Chinese mother and a Malay father, both of whom died when she was relatively young. She grew up in the multiethnic, postcolonial city of Kuala Lumpur in Malaysia, and though her practice is based in that community, her international acclaim has allowed her to move between different layers and spaces of the art world. Continuing to transverse borders, Sulaiman recently finished her term as the Spring Artist-in-Residence at the Kadist Art Foundation in Paris. Where other artists might have thrown themselves into the insularity of studio work, Sulaiman delved into a different kind of artwork: gardening. One might ask, “How can gardening be art?” In the West, we associate gardening with its commodification. We imagine housewives planting pansies in their front yards, envisioning the front covers of domestic magazines. 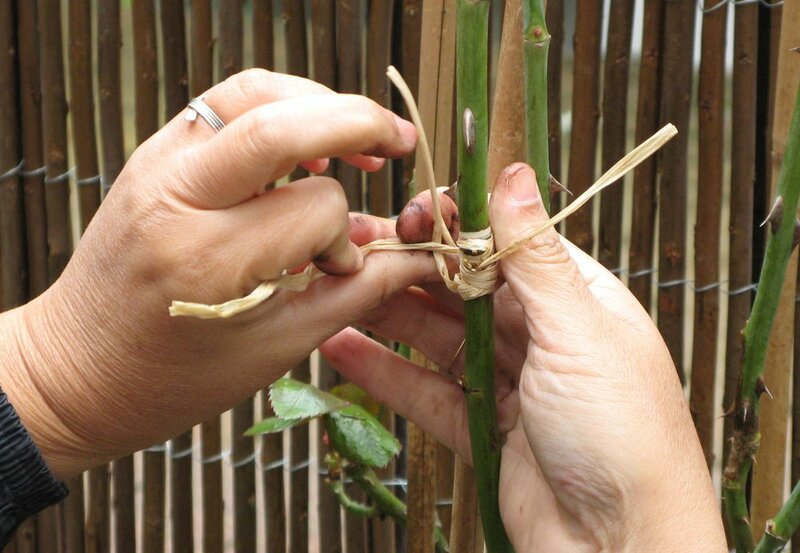 Sulaiman, on the other hand, sees the garden as a space for “rich cross-cultural heritage” and a “sustainable cultural ecosystem.” In her project “Malay Mawar,” Sulaiman took the bud of a rose growing on her mother’s grave, then made a graft on the stalk of a rosebush coming from a farm near Versailles. At once, this rose blends hometown with foreign city, past and present, intimacy and community. Along with this project, which blends cultures and demands communal attention, Sulaiman embarked on what she calls “Planting Drawings.” Drawing with the soil coming from Versailles and Montmartre, the artist realized several series of portraits, some of which will be distributed to people to be buried in their gardens. Beneath all this movement between boundaries and identities, Sulaiman remains rooted (to use a gardening parallel) in her process and herself. We got to talk to the artist about her new work, her artistic philosophy, and the many meanings the “Garden” carries for her. How was living and working in Paris? How is Paris different or similar from your hometown in Kuala Lumpur? Paris is surreal and Kuala Lumpur is reality. Most of the time I feel like I slept with Paris but I woke up with Kuala Lumpur. It’s like the idea of inverted overlapping. A process through which explores seemingly opposite ideas within the same entity. Living and working in Paris for the first time spark many aesthetic impulses. It is an over expose of retinal pleasure due to the city’s layout that demands immediate attention. (The vanishing point and the giant monumental architecture) I felt like a little Pygmy in the beginning of my first week, looking for lights in the Hausmann landscape. Then came the ‘Versailles’ surreal experience. Merely shocked by one human’s ability towards nature. Strangely impressive. No doubt now, after sometime, I begin to observe the liberation of system compared to Kuala Lumpur, that’s overwhelming. Amazed at how people being very bold to choose their independence pattern. Such feeling is rare in my environment, that was always clouded with rules. Some good, some bad, some strange, some stupidly funny and mostly don’t make sense. As an artist, to taste and witness the glimpse of freedom is a real privilege. I am lucky to witness this part of Paris at this point. Can you describe your studio process for this work? I converted the terrace as my ‘garden’ studio. The place where I behave as a gardener and I allow myself to partnership with a control nature but my faith is still derived from the premise that the Creator owns the earth and every living creature, flora and fauna. There are strawberries and tomatoes for something sweet, basil and mint for cooking, Vilmorin for a little chaos, an olive tree for the country I am visiting and Roses for the aesthetic of experience. 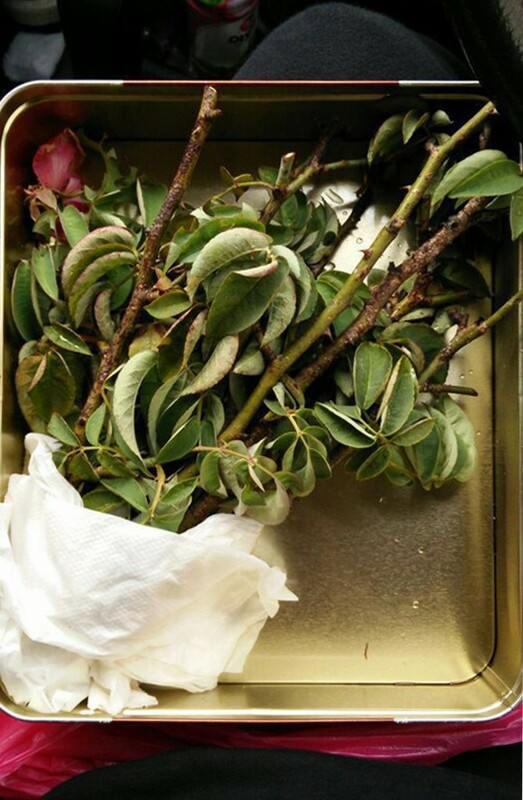 I married (grafted) the rose species from my Mother’s grave (Malay Mawar) to the species that I took from the area of Versailles (Messire Delbard, Conquistador and Le Notre). I titled this garden studio process as ‘married to a Malay in Paris’. I planted rose on the grave bed was an act of attitude. I did it in 2008. It was not significant to the religious comfort for the dead but more towards the substance of melancholy. It was to organise the form of sympathy in order to inhale abstract comfort because of death. The Malay Mawar often symbolise eternal beauty, love, and blessed occasion. Cemetery is not the place to show beauty, it is beyond emotion and beyond abstract. After life debut. Roses from Versailles are full of persona, flamboyant, classical, tradition, history and well celebrated. Scientifically predicted species and naturally lived a beautiful life together with human. Have good purpose. Such a logical reason to live. This was the core process that has attributed ‘protocol to the inverted’ to a fine, if strange, upheaval of biome norms. How do you want your work to interact with different people and geographies outside of the gallery? I have another piece for the show that I named ‘Planting Drawings’. It is an instructional procedure piece consists of 30 drawings that will be given to selected public. Planting the drawings can be done in their gardens, lands, forest or anywhere in the nature. After a year it is preferable for the participant to record some images of the drawings but leave remains with nature. Reactivating ‘we’ as transmitter and receiver of energy, ‘Planting Drawings’ helps the art pieces to experiment the intention. People and Mother Nature are a perfect convergence in giving little ‘soul’ to the drawings. Is experimenting with art different than creating or producing art? I believe this experiment of planting the two rose species is not scientific but it causes the aesthetic of experience. Interestingly they confront me in a way that I didn’t expect, with obsession of condition and control of hope. This creates a form that is attach with every day experience and might manifests itself in the work of art. What is the Malay Mawar? Does it relate to your personally? Malay Mawar literally is the name of the rose species that typically Malays use for ritual occasions. It is very fragrant and the rituals reactivate the essence of everyday contemporary life to be more poetic. It is also the title for my show in very symbolic way. I am celebrating my late mother’s existence in my memory this year. I am celebrating what is still relevant to me in the past, now and future. My selection of food for my soul, which determines my behaviour and action and Malay Mawar may help me put some weight on my name as Shooshie Sulaiman. Malay Mawar represents the culture that I come from. The culture that does not transfer simply or simply does not transfer. Your work fuses different mediums and materials as well as cultures and ideas. What does the idea of the "hybrid" or "marriage" mean to you? A protocol to the inverted: a divine fusion, but also a bridge between two lives, two continents, two languages, spanning obsolete beliefs and misconceptions, modern thinking and Cynicism. What is your art's relationship to nature? When I see the trees, I don’t forget the forest and when I see the forest I don’t forget the trees. It represents inter-connectedness between the micro and macro, internal and external, spiritual and physical. Some people might not consider gardening as an artistic process or performance. How is gardening art for you? What emotions and thoughts does the garden provoke? Gardening, the best part of it, is not to think, but to feel. I am an artist and this is always the case when I do gardening. It is always the feeling guided by the visual pleasure. Gardening is like making myth. So much traditional baggage and stories accompany my mind. Creating another myth with roses is very romantic and at the same time very melancholic. Ironically the myth seems to be provoked by scientific advice, like they are there but actually not there but they give me some comfort of knowing. Little facts that sweeten the myth. The idea of the Garden is a poignant one, carrying with it a long history of literature, religion, and artistic representation. Are these histories in conversation with your work, or are you making something new? Asian artistic legacies can be traced in its rich cross-cultural heritage. It also reflects the legacies of a sustainable cultural ecosystem. This ecosystem induces inter-connectedness, inter-dependency and also a balanced symbiosis of opposites across all the three dimensions. Duality is the key element in this artwork. Thus the statement may be perceived as going against the grain of what is understood as normal, or that there is a rigid protocol that must be observed in inverting the norms of nature. Coupling and working in tandem with biodiversities of earthy substances and changing seasons, one needs to put her trust unabashedly in Divine intervention. We might witness a transcendental shift from rigidity of etiquette, rising to the level of beautifully inverted paradigms. Given that earth is just earth, and biosciences can create and clone exotica, why would a Malay Mawar marrying a French Rose not to be singularly original and successful? How can art be sustainable? Malay traditional cosmological reading always has been taken as part of creating a sustainable cultural ecosystem. The essence of a sustainable living is a complimentary convergence and balance. I come from this metaphysics condition. Art is the fragment of the artist’s internal and external identity. Definitely, sustainability is manageable. Thinking about Adam and Eve and the Garden of Paradise, what is your personal definition of Paradise? The Soul. Good food for soul everywhere can be a paradise to me.